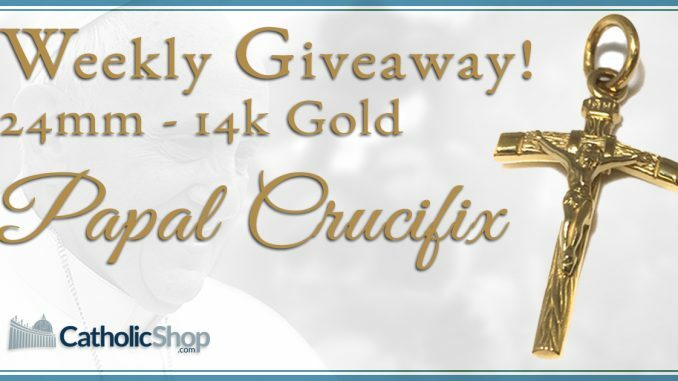 HomeCatholic14K Gold Papal Crucifix Giveaway! 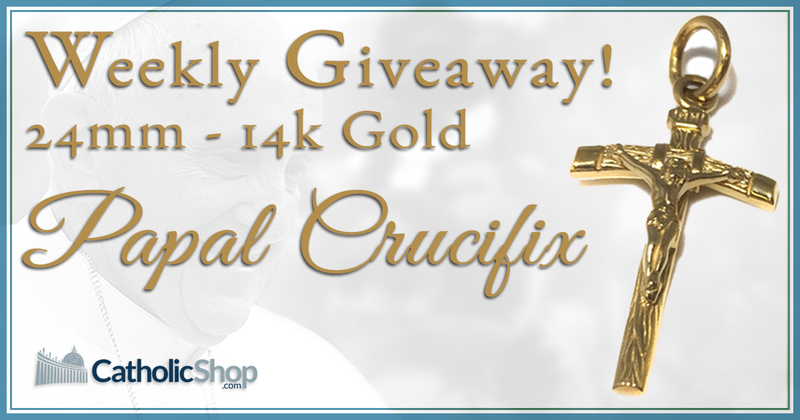 This week, we’re giving away a 24 x 14mm 14K Gold Papal Crucifix in honor of Pope Francis’s 4th anniversary as our Holy Father. Share it and get a Bonus entry every time someone enters through your share! The winner will be chosen at 5PM EST on Monday, March 20th and announced the next day!